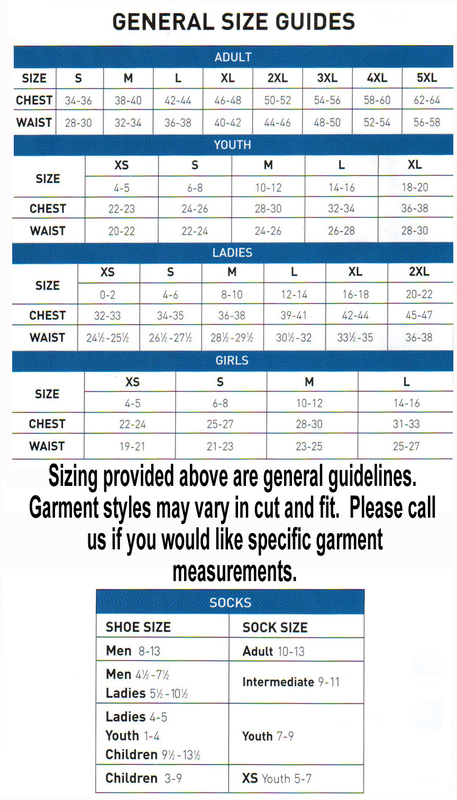 Size chart 100% polyester wicking smooth knit. Odor resistant. Wicks moisture away from the body. Heat sealed label. Self-fabric collar. 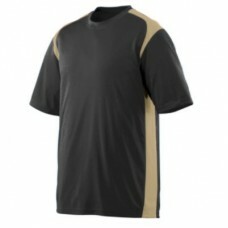 Contrast color shoulder and side inserts. Set-in sleeves. Double-needle hemmed sleeves and bottom. Individually polybagged.